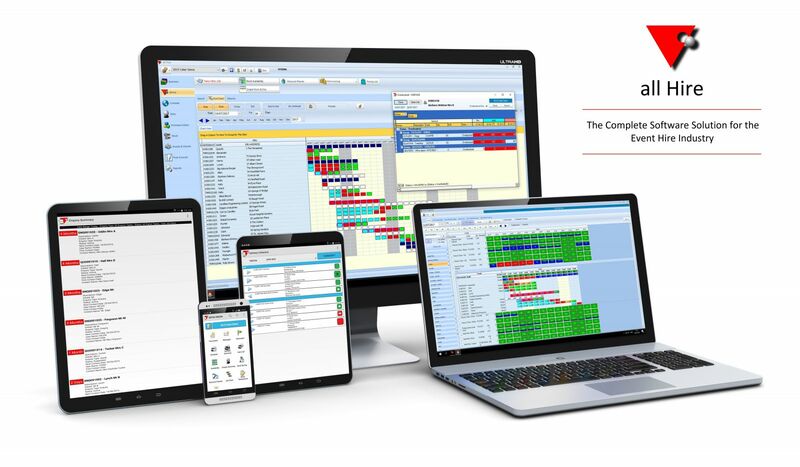 TSS offers a complete software solution for the event hire industry with all Hire and Event CAD and the company will be showcasing its range at this year’s Showman’s Show. all Hire runs every aspect of an event hire business whilst Event CAD enables companies to produce 2D layouts and 3D colour images – helping potential customers to visualise their events. all Hire is a hire management software system that has been supporting event hire companies across a wide sector of the event hire industry both in the UK and abroad for over 25 years. all Hire provides information that gives event hire companies greater control of their equipment and costs. View job schedules, stock tracking, availability, overbookings, delivery/resource scheduling, all documentation from quotations to invoices, forward planning, comprehensive management reporting, CRM together with an optional web basket import, customer delivery texting, staff allocation texting and linked repeat contracts. all Hire is suitable for any size of hire business with flexible rental and purchase options. Also available is all Hire Lite, a compact version. The all Hire mobile has been designed as an app to run on an Android phone and tablet from any location. The all Hire mobile gives you the ability to make changes on the move, including delivery/collection notes, pre-hire checks and sign-off sheets – information available anytime, anywhere. To find out more, visit the TSS team on their stand in the Exhibition Hall at this year’s Showman’s Show, where they will be demonstrating Event CAD, all Hire and the all Hire mobile.